On June 13, 2018, members from the Global Voice Acting Academy (GVAA), Voice Over Agents Alliance (VOAA) and World-Voices Organization® (WoVO) convened to discuss the state of the voiceover industry. Over 500 attendees were present to listen and learn about the timely topics related to the state of the voiceover industry, rates, strategy, and audience Q&A. Click below to view the video. It has come to our attention that a scammer has been trying to pass himself off as a subsidiary of WoVO®, and is using the Pay-to-play sites to troll for victims. *A USD $50 fee applies. 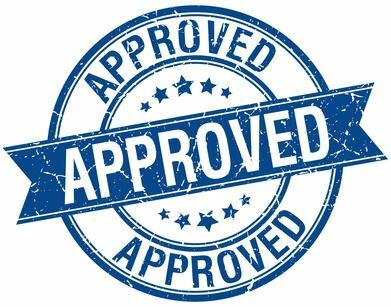 The studio approval process involves the evaluation of a recording of your raw audio, and a multiple choice test. For many years, so-called “Overpayment Scammers” have gone after people selling cars, selling items on Craigslist, looking for roommates, and even people offering services like graphic design and sign painting, for example. More recently, they’ve discovered our fabulous little corner of the world, and they want in. By all reports, they’ve been hitting the VO community pretty hard lately, so we have to assume that it’s a profitable niche for them. In the interest of helping the community protect itself, this post should give you a pretty good idea of how this scam plays out, from start to finish. I’ve heard from scores of voice talent who’ve gotten a message that nearly identical to the one below. First of all, know this: There. Is. No. Job. It’s all part of an overpayment scam that really has nothing to do with voiceovers, and everything to do with getting you to send them money. And the way they set up the scam, they want you to believe that the money you’re sending them is theirs to begin with, and that you’ve got nothing at risk. That, of course, is NOT the case. Here’s the basic scam: you receive an email or a text message letting you know that you’ve been selected for an upcoming job. Once you show interest – by responding to them and sharing your address and phone number – they claim to set up a recording session (apparently using Google to find the name of a studio near you), and send you a check that’s written for much more than they owe you. The check is fake of course, but it’s good enough that your bank won’t spot it right away. In fact, they won’t realize it’s fake until it’s sent to the “issuing bank” who, a couple of weeks later, will refuse it. By then, you’ve cashed the check, and sent “the remaining balance to the consulting engineer,” (aka the scammer). Once your bank realizes that the check is fake, you’re on the hook for the amount that you’ve cashed and sent back to the scammer. In hopes of giving you a full understanding of the process so you can spot these scams more easily, what follows has been compiled from a number of reports from fellow talent. And it’s helpful to know that all of the talent whose stories are represented here knew from the beginning that they were dealing with a scammer. I’ll be chiming in along the way (in bold). Thanks for your response .It is a 850 CAD voice over (Assignment) for you, . A new corporate client of mine wants to create their online website.This assignment is for either professional or non professional voice. You don’t have to worry about your experience, we have specialists,and Contract Studio Engineer who will bring the real perfection to the job. It’s a 1 day job and wouldn’t take more than that least 1 hour each day. I wouldnt be able to send you the script because my client have “copyrighted” it and confidentiality is of utmost importance until we have agreed to terms on the job.The Job cannot be done in your personal studio as it needs directing by a voice coach as well as it must be mastered by our consultant engineer.Job Location: The recording will be held at a rented studio close to your location, so you don’t have to worry about traveling, the name and address of the studio will be forwarded to you before the date of the recording. We are creating an animated marketing video to be distributed through web and social media. The overall video is approximately 10 minute in length with the Game Show host part being about 5 seconds. The Game Show Host voice must be boisterous, fun and entertaining. Please title the audition file with your name to assist the client in selecting an appropriate candidate. (Contestant) Uh, I’m no rocket scientist but I’d say…traffic congestion. (Contestant) Well, I’m no rocket scientist but that’s a no brainer. Mass Transit is the better option. Expectations: You need to be in a good mental and emotional state of mind. Basically this is all that is required of you, Kindly, get in touch with me as soon as possible if you will take the job. More details will be provided to you and we can continue from there. Please, no time wasting. Let me know if you will take the job to commence with next arrangement. Please I’d like you to check your email on a regular basis, I might have updates for you. Thanks for keeping in touch. I received your email indicating your interest. Your total pay for the job as discussed in my previous email is $850 .You would be paid an initial upfront deposit for $400 to guarantee your participation for the recording and ascertain the job, and your balance of $450 would be paid to you in cash or pay check on the final day of the recording. I will get in touch with our financier,and the part payment will be mailed to you, until you receive and confirm payment before the recording will hold. Once you receive the payment, you are expected to cash and deposit it into your bank account. After which, you deduct your initial payment of $400 to guarantee your participation in this project, and then send the remaining balance to the consultant engineer who will take care of all technical aspect of the job and studio rental with other planning. Please be informed that we would be making arrangement for your transportation if need be. There is nothing to worry about. Kindly keep in touch with the details requested as soon as you can. The venue for the recording shall be communicated as soon as all the requested details above are confirmed. Concerning the date of the recording, you have the opportunity to choose the two most convenient days for the recording. Kindly indicate that in your next reply. P.S . Please be informed that this is a one time recording. No contracts. All necessary paper work would be signed on the 1st day of recording. Once you’ve sent them your contact information, they let you know when and where the recording session has supposedly been scheduled. Some talent have told me that they called the studio to confirm the session, and of course, the studio had never heard from anyone about the session in question. One talent pointed out that the “recording studio” the scammers claimed they’d booked the session at, wasn’t a recording studio at all, but a duplication facility which, in fact, never did any recording on site, and didn’t even own a single microphone. Interestingly, that studio’s “Google/My Business” listing includes the designation “Recording Studio,” which must have been enough to have convinced the scammers that it was a believable choice. Congratulation on your new job. I want to assure you that everything would work out fine as planned. Kindly get back to me to reconfirm your interest in the job. As soon as i receive a confirmation from you, i would let you know when to receive the payment. I look forward to your email. I am write to inform you that gig payment has issued and should deliver to you today.You track your payment here atwww.usps.com with tracking numbers 8100574610560484123119 and i also like to remind you that you are paired with the Consultant Engineer, as soon as the payment arrive, I want you to proceed to having it Deposited at your bank for confirmation/verification as soon possible and it will take about 24hours to clear at the bank and once cleared, deduct $400 as your pre-payment for your services and have sent the rest to the Consultant Engineer who will take care of all technical aspect of the job and studio rental we are going to use for the recording with other planning. Your remaining $450 will be given to you on the day of the recording. Anyway, once you confirm that you’ve received their check (which again, is totally fake), all communication switches to texting. Interestingly, their English skills improve dramatically at this point, making it likely that the original, possibly Nigerian scammers have handed the operation over to someone here in the States. And since they’re hoping to be able to pick up the funds that you send them at a Walmart or CVS near them, that would make sense. Also, in every case, at this point the conversation completely stopped being about a recording session, and centered only on the transfer of money. A number of talent have told me that they played along for a while, thinking that at least they’d waste a bit of the scammers’ money by forcing them to send the bogus check via FedEx. But of course, it turns out that they use stolen FedEx account numbers so even that doesn’t have the intended effect. Dave Courvoisier recently wrote a fabulous and informative blog post about protecting yourself from VO scammers, Nigerian and otherwise. If you’ve been contacted by scammers you can always file a complaint with the Federal Trade Commission and the FBI’s Internet Crime Complaint Center. Also check your state’s Attorney General site as they often have resources to report these types of things. Finally, read up on the Internet Crime Complaint Center’s scam page and familiarize yourself with the common characteristics of scams so you aren’t victimized. The biggest red flag: if anyone ever sends you a check, wire transfer, ACH payment, etc., and then asks you to send all or part of the funds to a 3rd party, don’t. It’s a scam. WoVO fully supports its SAG-AFTRA members during the current interactive negotiations. We completely understand that WoVO's union members must comply with mandates from the SAG-AFTRA leadership. We would ask that our non-union members make themselves aware of the issues under discussion and act as their conscience dictates. The benefits and safeguards obtained by the union have a beneficial effect on the entire voice industry. Las Vegas, NV, USA – March 7th, 2017- World-Voices Organization, Inc. (WoVO®) (world-voices.org), a non-profit, member-driven international association of voice actors, announced today the launch of a searchable directory of its professional members, VoiceOver.biz. Radio and television commercials, and many more. The directory exclusively lists WoVO® members who meet the organization’s Professional Level standards and have received Executive Board approval. Talent seekers can be assured that all talent on VoiceOver.biz have proven skill, experience, and technical know-how. World-Voices Organization, Inc. is a 501(c)(6) nonprofit international industry trade organization. Our mission is to inform and educate members of the voiceover community and other business professionals about best practices, standards for ethical conduct, and professional expertise as it relates to the voiceover industry. "We speak for those who speak for a living." Do You Own the Rights to Your Voiceover Project When Submitting It For An Award? Awards. Go on, be honest… we all like them! I’ve still got my Cycling Proficiency and Bronze Swimming Survival Awards stashed away from my youth. We all like recognition for attaining a certain level of achievement, or, more relevant to the world of media, peer recognition. There is no doubt that media awards have become big business, with the Oscars® at the top of the tree, the SAG awards (for which I know a large number of our members had the opportunity to vote), the Emmys®, and a whole bunch of others. Now, that partial list didn’t include much for the poor voiceover, did it? There may be some categories in the Emmys® for narration, but in general, with the notable exception of the Audies®, there is not much in the way of peer recognition for the working VO. Well, over the past couple of years, that has changed. There is now an award program for voiceovers, and it seems to have been well received by a large segment of the voiceover community. However, there is one main difference between the established movie & TV awards and the new voiceover awards: Submissions for the major awards are made by (or actively supported by) the studios themselves, not by the individual talent. Leonardo DiCaprio did not submit himself for best actor! Who Holds the Rights to Your Voiceover? I recently submitted a corporate video for an award. The presenters clearly stated that I needed to have the right to submit the work for consideration. They also asked that they be given the right to publish the video on their website, although the right to publish was not a prerequisite of entry. So, I needed to get permission from the rights holder. First stop, the production house. They sent me to the ad agency, who then gave me the contact in the client’s PR department, who said, “By all means, you can enter it, and they can use it on their website.” All of this had a clear and unambiguous paper trail. Be very aware of any terms and conditions you are agreeing to when submitting work for consideration. Make sure you understand what you are granting. More importantly, find out whether you (as the voice) have the right to grant permission for the videographer, producer, music, animator, and any other party involved in the production. In most cases, the end-client will have the rights to all aspects of the work, and their permission must be obtained before anyone else can use it. Also, be aware of terms like, “in perpetuity”, “all derivatives”, “all media”, and so forth. In almost all cases, these rights are not yours to grant. While I’m not a lawyer and this should not be considered legal advice, if you do grant rights to the material (which you do by virtue of agreeing to the award’s Terms & Conditions), you could find yourself on the wrong side of litigation. So, play by the rules, get the rights, and good luck! We are individual freelancers in the voice over industry who have joined together to focus attention on, and find solutions for, the challenges in our business. We are members of World-Voices Organization (WoVO®), an association of voice actors that works to inform and educate those in the voice over industry about best practices, standards for ethical conduct, and professional expertise. Our most recent challenge concerns the displeasure of a great many of our members, as well as other voice talent across the industry, with the business practices of subscription-based online casting sites, also known as “pay-to-play” sites. Originally, pay-to-play sites were created to provide a service to both voice talent and voice purchasers (producers, casting agents, directors, etc.) by acting as a match maker for talents and purchasers. The voice purchasers do not pay to use the pay-to-play site; it is the voice talents who pay a yearly subscription fee to receive posted audition opportunities. It has come to our attention that a very popular pay-to-play site has been taking unfair advantage of their voice talent subscribers, by inserting an extra layer of so-called “managed services” between the voice talent and the purchaser, and then deducting a significant percentage of the purchaser’s budget to pay for these “services”. The purchaser is not made aware of the extent of the deductions, and the talent is unaware of the purchaser’s original budget. The job opportunity is posted (or removed from listings and re-posted at a lower budget) with either a fixed budget, or an invitation to bid at a rate far lower than that which the purchaser and talent expected. The pay-to-play sites may maintain that it is a “fair rate”, but it is not uncommon for it to be far less than half, or even approaching one quarter, of the purchaser’s original budget. The expectation from both purchasers and talents is that a middleman’s deduction be within the 10-20% range. In some cases this is dictated by law. It should be noted that the pay-to-play sites already take subscription fees between $395 and $5,000 per year from talents. The pay-to-play sites’ claim that “the purchaser pays no additional fees and the successful talent always gets what they bid” is fundamentally self-serving and misleading. The ill-defined nature of the charges and fees associated with these “services” are the cause of the current concern among voice talent. Although there have been a few cases where a purchaser has specifically requested the pay-to-play site’s assistance in handling the transaction, it is where the service is proffered, rather than requested, that there are the major areas of concern. Both purchasers and talents are being kept purposefully unaware of the project’s financials. For a given project, for example, the purchaser may think he is getting talent commensurate with his $2,000 budget, and the talent may think there is only $500 on the table. Both are being misled. This is gross misrepresentation and a disservice to both parties. The pay-to-play sites have become self-serving, no longer provide an equitable service to voice talent, and are misrepresenting what the voice purchasers are paying for. WoVO® believes that our members should be presented with all of the facts pertaining to each pay-to-play site before choosing to do business with that site, and due diligence by the members in gathering their own information is also a best business practice. We also believe that our clients (the producers, agencies, studios, etc.) need to be able to make well-informed decisions. If these decisions are about the use of a middleman, then the fees attached to this service should be understood by all parties to the transaction. To accomplish this, WoVO® supports transparency and full disclosure of the charges made against a purchaser’s budget. This is for the understanding and protection of both the purchaser and the talent. Every business offers different services, and these should always attract the appropriate fee. If a company is being contracted to provide project management or casting services, then they should be quantifiable and openly priced. To hide these costs and imply, or even openly claim that they are talent costs is, as stated before, gross misrepresentation and a disservice to both parties. If you are a pay-to-play site: We at WoVO® strongly urge you to institute a policy of transparency. When project pricing is clear, then both voice purchasers and voice talent can make their own well-informed business decisions. If you are a voice purchaser: We encourage you to inquire about policies at pay-to-play sites. We urge you to inquire as to what percentage is taken from the budget and kept as a fee for commission or managed services. Please understand the level of compensation being paid to the talent, and how that reflects your overall cost. If you are a WoVO member: We strongly urge WoVO® members to contact pay-to-play sites, request immediate transparency in business transactions, and ask for a full explanation of how compensation is structured. WoVO® Pro member Anne Ganguzza joins WoVO® President Dave Courvoisier in hosting a series of monthly online video discussions. Each discussion will be sponsored and recorded by WoVO® for the benefit of our members. The roundtables will involve voiceover business thought-influencers, and will cover trending topics important to our members. The videos will be posted here on the WoVO® website, and on the WoVO® YouTube page. The first roundtable discussion on RATES can be viewed by clicking here. With the ability to include as many as 100 viewers, members will be invited to virtually attend future online video discussions, and participate by posing questions to the panel for that session. The next roundtable discussion will build on the topic of rates with special attention to the influence of new digital paradigms that are challenging traditional compensation scales. If you would like to make a cash donation to help Learning Ally with their fundraise, please click here. To download WoVO® Professional Member Ann Richardson's article on Learning Ally, click here. Convert certain jobs to union P&H work. 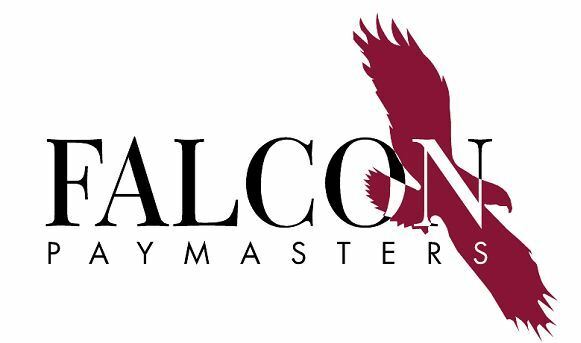 Falcon Paymasters is teaming up with WoVO® to make it easy!